Yay! More girls in gaming! The blurb for this one snagged me from the get-go and I had to add it to the TBR. Added to that, it’s a treasure trove of hidden and obscure zombie references. See the bottom of this post for an example! In the halls of Andrew Jackson High School, Jenaiya is a nobody. Less than a nobody. She’s practically invisible. An awkward, shy freshman, she very rarely gets any attention at all, unless she’s being harassed by the school’s multitude of bullies. In short, she’s not anyone’s idea of a hero. But in ‘Age of Z,’ a post-apocalyptic multiplayer zombie game, she’s a gun-wielding, fast-talking GOD. 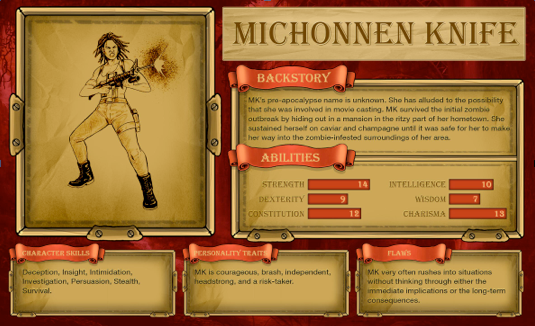 She’s one of the top ten players in the online dystopia, and she doesn’t suffer fools lightly. It’s just the way she plays, and she likes it that way. She can become the person she wishes herself to be in the real world. However, when the game gets overrun by trolls and n00bs who threaten to destroy the game by turning it into yet another online shooter, Jenaiya cannot sit still and let that happen. The very existence of the game is on the line, as people leave in droves, and she gathers a rag-tag group of players to fight back against this new kind of ‘brainless’ horde. They have wildly different personalities but one goal: rid the game of the real monsters. Jenaiya will have to outsmart her enemies, outplay the bullies, and return ‘Age of Z’ to its former glory. Otherwise, it’s game over, and she’ll have to confront the real world that awaits her on the other side of the computer screen. Meet Jenaiya. She’s a survivor. Meet Jenaiya. She’s the tough, flawed, sometimes misguided protagonist of ‘Playing Dead.’ A meek freshman at a particularly rough high school, Jenaiya spends most of the book trying to negotiate all the different areas of her life, from her online identity to her relationship with her family and her sexual identity. She’s not a simple character, and this is not an easy story to tell. It would be easy to make her an empty vessel for the events inside ‘Age of Z,’ but it was my goal to provide the audience with a believable, real character to identify with so each victory and defeat felt that much more credible. When the novel begins, Jenaiya leads a fairly ordinary but unenviable life in Nashville. She hates school, because the school she attends is a haven for miscreants of all types. It seems as though everyone around her is a villain of some kind, and she is a constant target of their attacks. Her only refuge happens to be her favorite video game, ‘Age of Z,’ where she’s able to unleash her adolescent rage on an unsuspecting public. It provides insight into how Jenaiya feels the world really should run. She values fairness and fair play, loyalty, and integrity. However, in the real world, beyond the confines of a digital asylum, rather than doing the right thing because it’s the right thing, she also gets caught up in the idea that “the ends justify the means,” which lands her in a whole heap of trouble. When it comes to bullies, especially teenage ones, it’s oh so tempting to fight fire with fire, but that usually ends up making things worse, as it does in ‘Playing Dead.’ Jenaiya wants to level the playing field for everyone, from the jocks to the dreamers and the jokers to the drama queens, but that’s not entirely how the world works, so the fuse she lights early in the novel eventually explodes right in her face. Her digital world is rocked when her favorite game — really, the only game she plays — is trounced by new players who treat ‘Age of Z’ like your everyday, run-of-the-mill, cookie cutter first-person shooter. To Jenaiya, ‘AoZ’ is so much more than that. It’s a post-apocalyptic game, sure, but the world is built around relationships. See, in ‘Age of Z,’ players wander a vast wasteland in search of supplies. They can be found in buildings, abandoned cars, but the best place, by far, to hit the item jackpot is another player. Only, players are tough to kill, and it’s much easier to work cooperatively with that person or negotiate peacefully to trade supplies. Think ‘FallOut’ without all the headshots. The game is loosely based on the experiential ‘sandbox’ games which have become popular over the past few years. Games like ‘Minecraft,’ ‘H1Z1,’ and ‘DayZ’ inform the gameplay, so if you’ve played those titles, you understand that the strategy lies not in quick-twitch mouse-and-keyboard murder sessions but in how you interact with the world and the other players. What Jenaiya understands inherently, the new players do not, and it frustrates her. Being an African-American loner, Jenaiya feels yet another thing she loves get co-opted by society at-large, and rather than allow it to happen, she decides to fight back. She’s willing to befriend all of the different warring factions within ‘Age of Z’ to make that happen, if she has to. But she refuses — absolutely refuses — to give up on this game until she’s dead and gone. That’s where the portmanteau character MICHONNEN_KNIFE comes in. 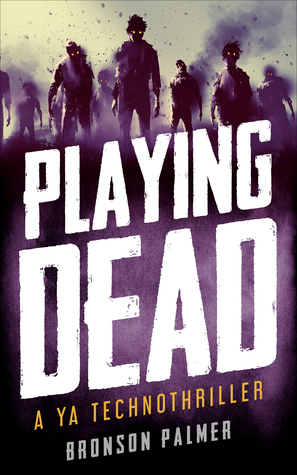 I make a few sly references to ‘Fight Club’ throughout the book, and though the tone of ‘Playing Dead’ is nowhere near a Palahniuk novel, MICHONNEN_KNIFE is the Tyler Durden to Jenaiya’s normal Jack character. Where Jenaiya is meek and accommodating, MICHONNEN_KNIFE is uncompromising, and Jenaiya basks in every opportunity to live in that digital construction’s skin.